Cal Miller and Greg Bogle started Zilyon Publishing in November 2009 as a way to keep complete creative control over all of their work and do things their way, but also to help out wherever possible. Author/Artist Alan Gandy joined up with Zilyon in 2010, Author JZ Murdock in 2012, and today we’ve published 12 books, including novels, charity anthologies, graphic novels, and comics. Please consider making a donation, large or small, to any or all of these wonderful organizations, they could really use the help. 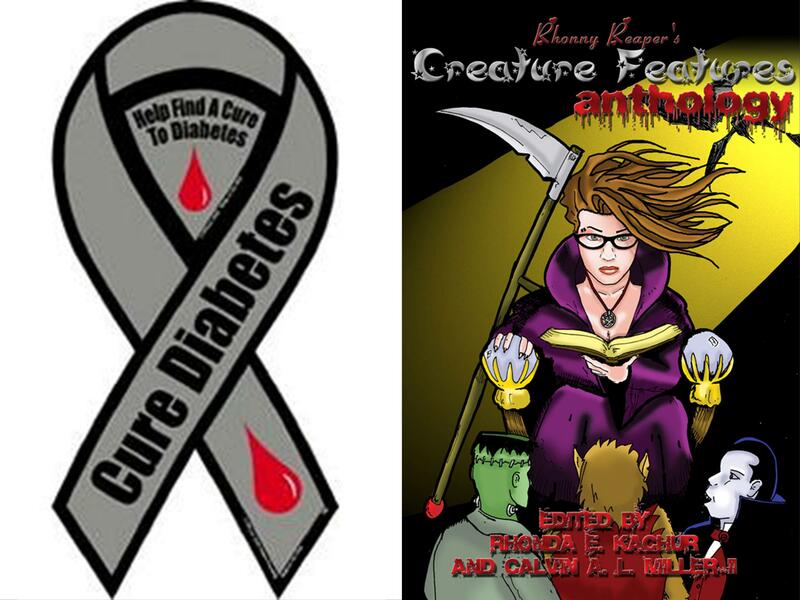 Zilyon Publishing is proud to announce we have made our first donation to The American Diabetes Association for $50.00. This money represents $1 from the royalties/proceeds from the sale of each copy of Rhonny Reaper’s Creature Features Anthology thru April 16, 2012. Special thanks to everyone that bought the book! Contribution Note: This donation came from $1 per copy of the royalties/proceeds from the sale of Rhonny Reaper’s Creature Features. Below are the websites where you can get your copy of this awesome book. Remember $1 per copy will go to help fight diabetes! https://www.createspace.com/3550020 CreateSpace.com Paperback book for $9.95. http://www.amazon.com/Rhonny-Reapers-Creature-Features-Anthology/dp/1936809060/ref=sr_1_1?ie=UTF8&qid=1334605525&sr=8-1 Amazon Paperback book for $9.95. http://www.amazon.com/Reapers-Creature-Features-Anthology-ebook/dp/B004LGTRIK/ref=tmm_kin_title_0?ie=UTF8&m=AG56TWVU5XWC2&qid=1334605525&sr=8-1 Amazon Kindle version $2.99. http://www.smashwords.com/books/view/37894 Smashwords.com eBook in all formats for all eDevices for $2.99. 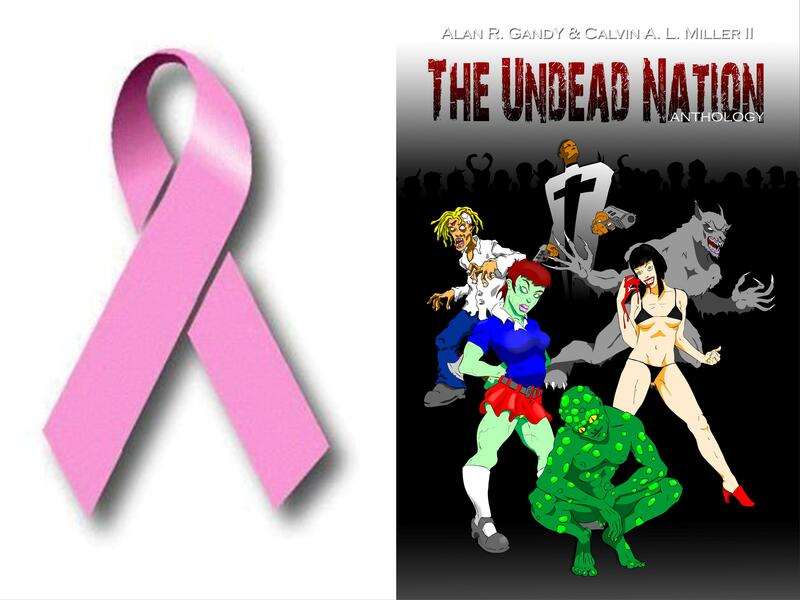 Zilyon Publishing and The Undead Nation are proud to announce we have made our fifth donation to The Breast Cancer Research Foundation, this time for $100.00 bringing our total to $1058.00. This money came from the royalties/proceeds from the sale of The Undead Nation Anthology from December 1, 2010 thru April 16, 2012.
http://www.smashwords.com/books/view/21126 Smashwords.com eBook in all formats for all eDevices for $2.99 ($2.20 will go to BCRF).